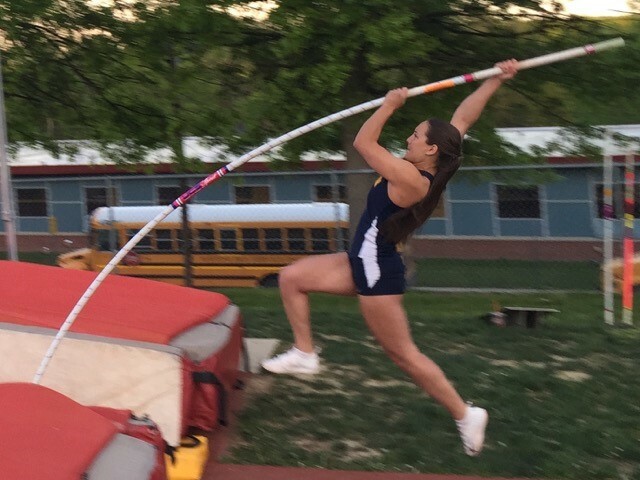 My Comments/ takeaway from the interview: Cara Kelly is a first year pole vaulter for The College of Saint Rose currently studying Psychology. She is very passionate about pole-vault and track and field in general. 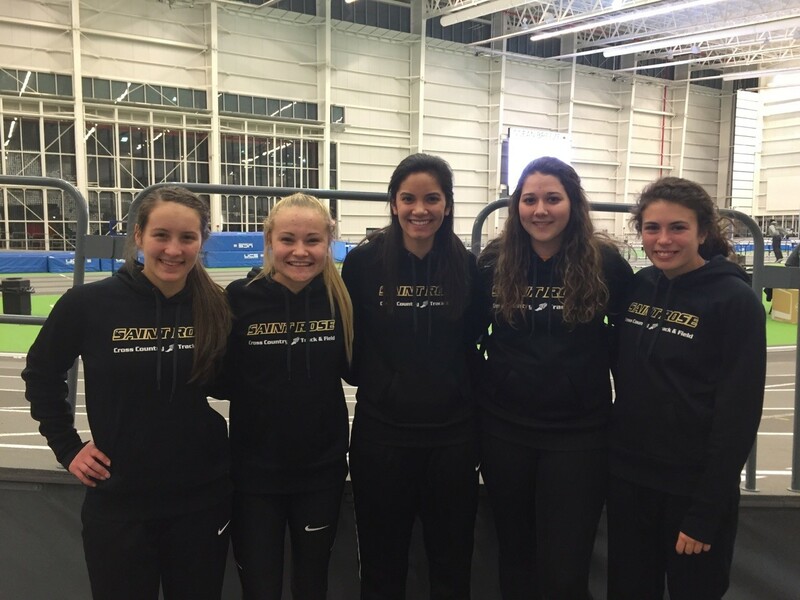 “Last semester was our preseason and a lot of first-year athletes were adjusting to the college level. Everyone on the team is stepping up and I feel good about our team this semester. Going forward we are progressing well and getting where we need to be in competitions,” Kelly said. “The encouragement among our teams during workouts is great. We all encourage one another to work harder in practices. The team is like a family to me. Everyone wants the best for each other and looks after the well-being of the team. 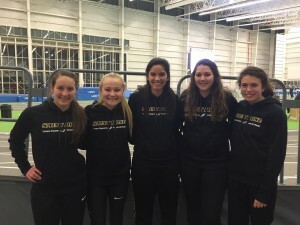 I’d say our team is pretty close to one another,” Kelly said about her team. Cara also brings a fresh type of personality with her. She’s funny and loves to be with her teammates, but she knows when it’s time to get down to business. 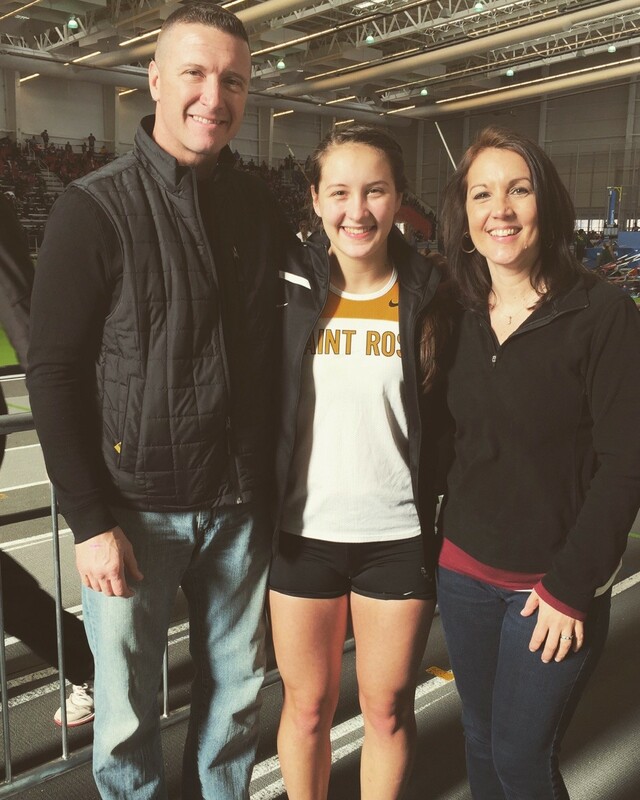 She brings a whole new dynamic to the team already breaking records here at Saint Rose. Cara is a tremendous athlete with a lot of potential being so young. Saint Rose has a valued new member to the community in more ways than one. I enjoyed meeting Cara and getting to know a little more about her. Very friendly and positive. I can’t wait to see what she does going forward in her collegiate career. GO SAINT ROSE GOLDEN KNIGHTS TRACK AND FILED! !